Nick is a rare example of someone who switched from working behind the microphones and cameras to working in front of them since he started out in broadcasting at Manchester’s Piccadilly Radio in 1986. He then worked his way up as a producer for the BBC, working on a variety of shows including ‘Newsround’ and ‘Crimewatch’ before becoming an assistant producer for ‘On the Record’. In 1993, Nick was promoted to Deputy Editor of ‘Panorama’ and, by 1999, Nick was not only a political correspondent for the BBC, but also presenting ‘Weekend Breakfast’ and ‘Late Night Live’ on Radio 5 Live. In 1999, Nick became Chief Political Correspondent on BBC News Channel but left the BBC in 2002 and joined ITV News, spending three years as their Political Editor; in that time covering the 2005 General Election campaign. 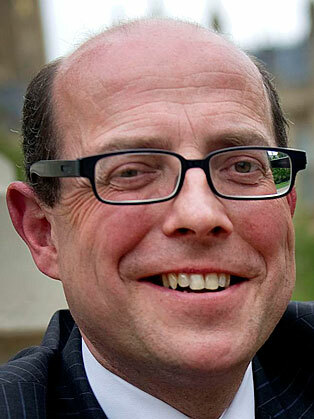 Nick returned to the BBC in 2005, as the BBC’s Political Editor and is the only person to have been Political Editor for the country’s two largest broadcasters; ITV and BBC. He held this position for ten years, travelling with, and covering, first Tony Blair, then Gordon Brown and finally David Cameron when they were Prime Minister. In this role, Nick covered the two General Elections and the formation of the coalition government in 2010, appearing regularly on the BBC News at Ten, Daily Politics and Today programme. He anchored the BBC’s Election night special programme alongside David Dimbleby. Nick is a regular face and voice on television and radio having presented a range documentaries and discussion programmes including: ‘The Street that Cut Everything’, BBC2’s ‘Newsnight’ and ‘Your Money and How to Spend It’, ‘The Truth About Immigration’, ‘Europe - Them and Us’, ‘The Prime Ministers’ and ‘Can Democracy Work’. Nick has also made other documentaries and television appearances for the BBC including ‘Sir Alex Fergusson – Secrets of Success’ and has also appeared as guest on ‘Children in Need’, ‘Have I got News for You’, and ‘Top Gear’. Nick is the author of ‘Live From Downing Street’ (October 2012), detailing a history of the relationship between politicians and broadcasters through the decades, and ‘Election Notebook’ (June 2015) which charted not only the year leading up to the General Election, but also Nicks fight with cancer, subsequent loss of his voice and his own battle to report on the election.